Regular visitors of ramen shops would know that condiments are typically on the table for you to toss into your noodles. It was the first time I went to a shop that had their "spiciness" sold separately. I thought they would add things into the noodles to make it spicy. When I ordered it, as I like my noodles hot, the waitress told me that they serve the spicy sauce separately and if that is okay with me. Personally, that is great as I can adjust it as I eat. She then asked if I want it "slightly spicy", "medium spicy", "very spicy", or "extremely spicy". 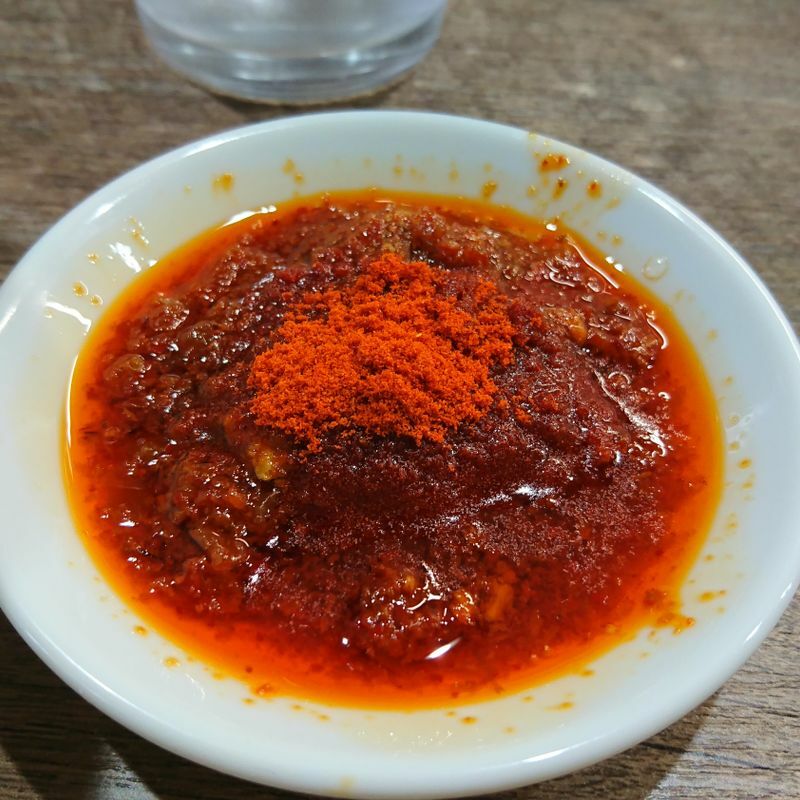 What I realized was that I paid the 50yen already, and if it was on a different plate anyway, I might as well get the yen worth by getting more with the extreme spicy. The plate came and it was a lovely plate of in-house made rayuu made with ginger and garlic. I enjoyed it thoroughly, ate it all up, my bowl of ramen became real red and I went home happy. Then I spent the next morning in the washroom summoning a fire demon.